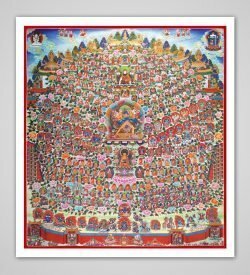 The unchanging or immutable cycles of time, which are the union of immutable bliss and empty form, are represented by the Kalachakra deity in union with his consort Vishvamatha. 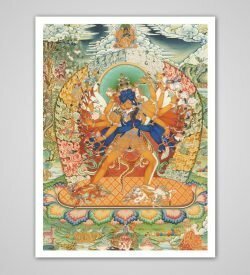 The masculine aspect of Kalachakra represents the mind of immutable bliss, while the female aspect of Vishvamatha represents the sublime empty form. 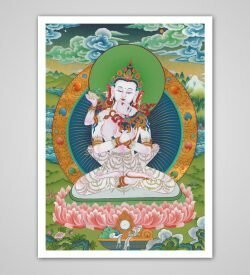 These two are in fact of one essence, representing our own absolute nature. Kalachakra can be understood to be the very subtle structures of a person’s body and mind. It includes not only the structure, but also the dynamic influence that the mind/body complex has on the surrounding universe. 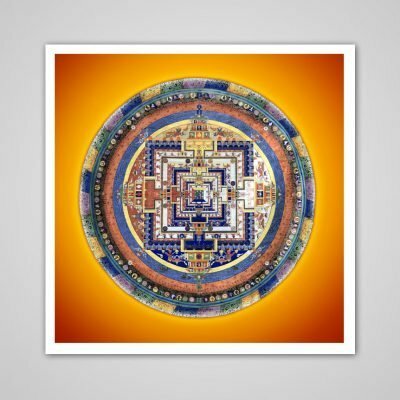 Therefore, through understanding Kalachakra we are able to break free from the dominance of our external conditions and transform our experience in order to create a harmonious and peaceful environment.